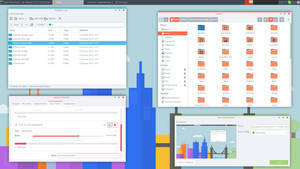 What is the Gtk 3 theme in the screenshot? This icons are awesome. But i miss a icon for Atom editor. Hi, I'd like to request a Pale Moon icon (lightweight browser based on older Firefox versions). Thank you. Do you have the brackets icon? Do I just put this in my .icon folder like any other icon pack? Could you make an icon for Atom Editor? I really can't find an icon for it in any of the popular icon packs. And I think that there are some rather important icons missing: Thunderbird, qBittorrent, Evince and Clementine. With those 5 icons the pack would be perfect in my opinion. Excellent job so far! Does it work with ubuntu 14.04? How do you get rid of the background in the dock, and icon pack do you use for the top panel? 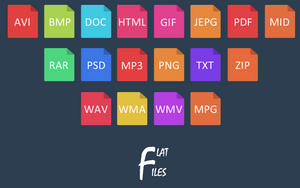 Can this be used to customize folders on my desktop? It would be great if you could provide some of a changelog/github, etc. But for now, this will work fine. nvm, read this is no longer in development. Hope to see your new ones soon. 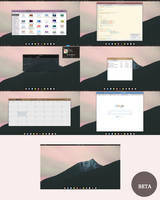 nice concept, are you still developing this icon pack? 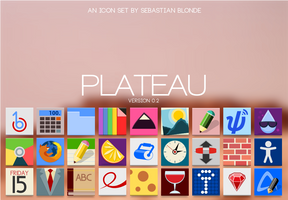 so, do you mind if I continue development of this icon pack under my new project? Hey. How did you make the wingpanel transparent? Absolutely great theme. A few apps I use regularly show no replaced icon, I guess some you haven't made icons for but some may be buggy. List is below if you ever feel like making more. 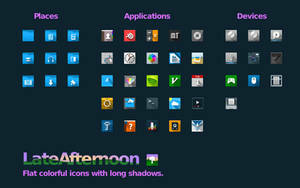 Oh and a PPA would serve you better for updates, that way any updates or new icons would flow to end user easier. Sweet theme. Mind making icons for libreoffice, totem, evolution, evince, and the rest of the gnome default apps (contacts, disks, screenshot, logs, etc)? Will someone please make icons for the audio softwares like Jack, Patchage, Jamin, Zyn jackU, Ardour, Gladish, Rackarack etc ! I've extracted the downloaded folder in /usr/share/icons/ , it appears then in elementary-tweaks, but nothing changes... Something special to do ? I'm using ubuntu. 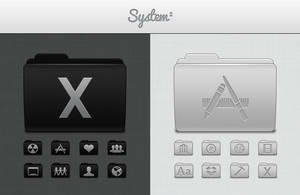 create new folder .icons in /home directory and extract the folder into it. Thanks for your reply! what theme are you using ? It looks nice !